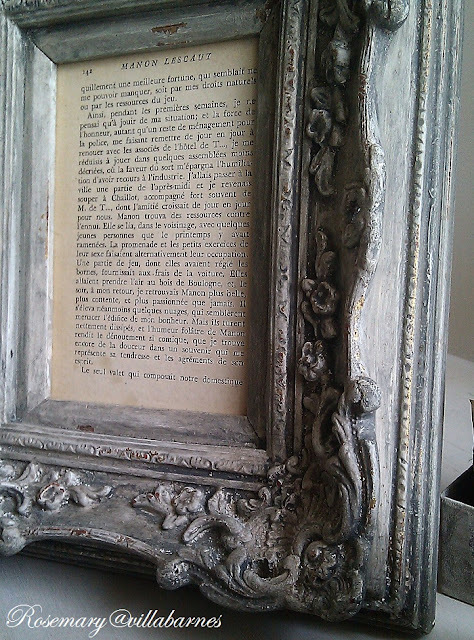 This ornate frame has a totally different look now. Here is the pile I started making at a local shop. See the frame at the bottom? I have an idea for the mirror too, but that's another post. There are many layers of paint on this piece. I alternated white, grey, and watered down brown. I also did a lot of mixing and dry brushing, so I can't give you an exact formula. I just play with it. Then I distressed it. I added one of my french book pages. A little more old world. I'll be back to share some of my other finds, and their transformations. Absolutely beautiful! 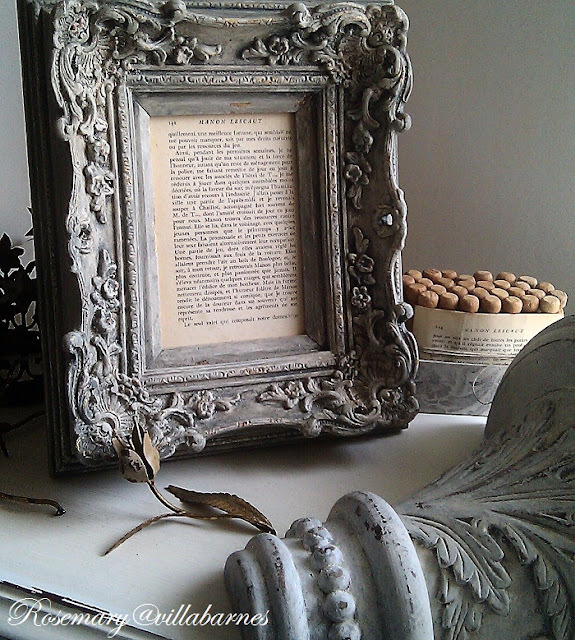 I love ornate frames and grab one every time I see one at a yard sale or flea market. I have a few in my stash and you've inspired me to play! You know I love your work but this really is special. I have a soft spot for these kind of frames! Rosemary, Always love your creative ideas. The distressed frame is lovely! Those frames are just gorgeous! All those layers you put on make them look so old--love it! What an amazing frame Rosemary. I love what you have done with it. I too love those painting projects where you just keep adding layers and seeing where it takes you. What a beautiful frame, Rosemary! 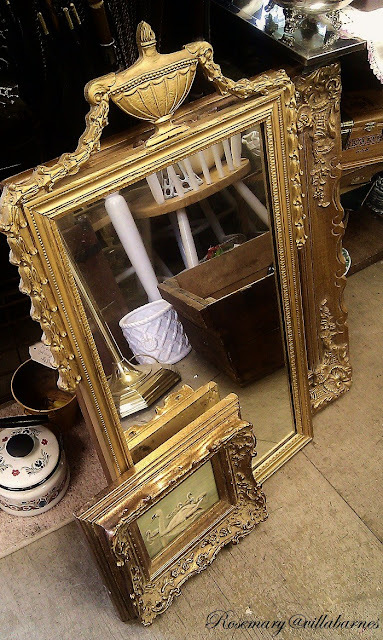 The mirror was a great find, too. Can't wait to see how stunningly that turns out. When I find frames like this I get so excited. 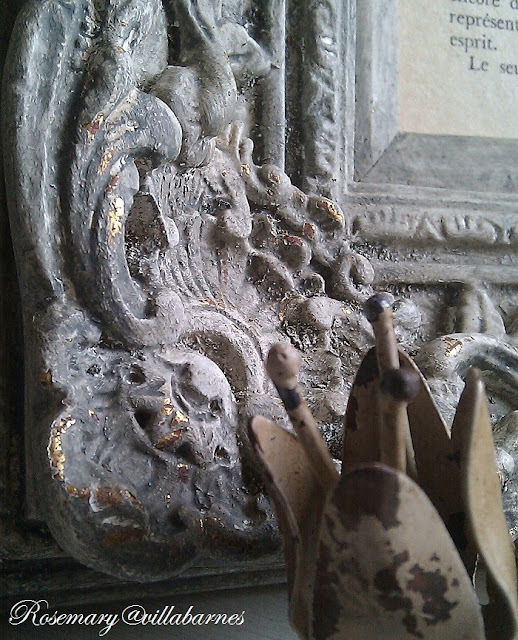 It's not often I find anything with detail. Usually just your everyday plain frames. Rosemary you are just fabulous! I love the frame :) Have a great day. The frame is gorgeous!...and I am in love with that mirror!!! 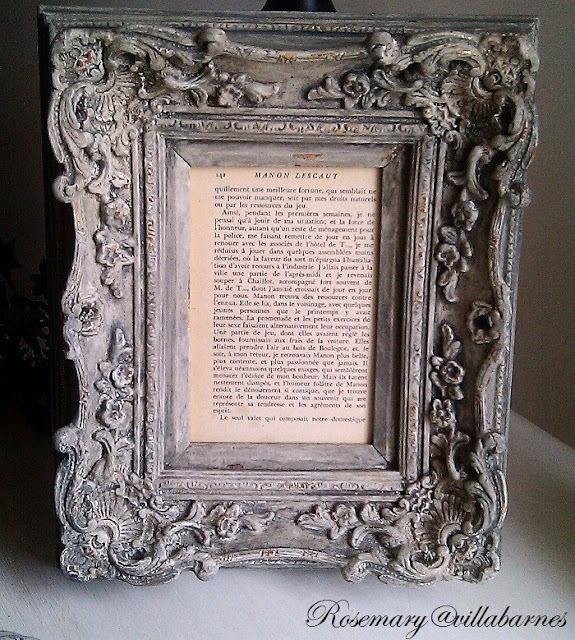 LOVE those ornate frames Rosemary!Love how you transformed yours! Beautiful! I have a frame that is very similar to this....now I know what to do with it! Once again I go straight to your work out of 300 entries. Another fabulous transformation. Gorgeous! I am totally drooling over your beautiful frames, and the mirror is just stunning, what lucky finds! 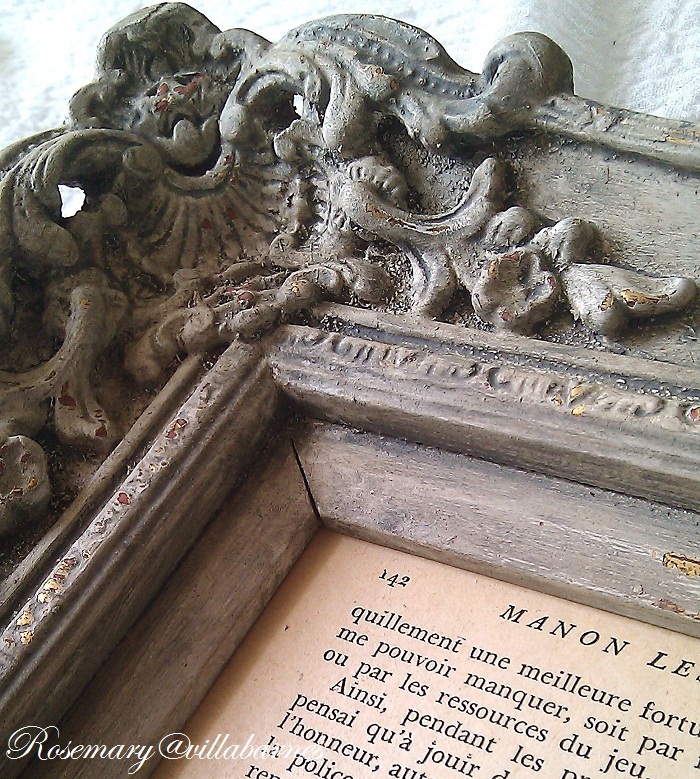 I love framing vintage French book pages, too. beautiful!! i love the white and blue layered look! Looks wonderfully crust, dusty and old! Fantastic job!